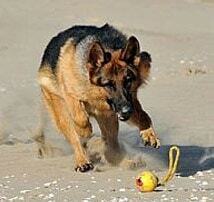 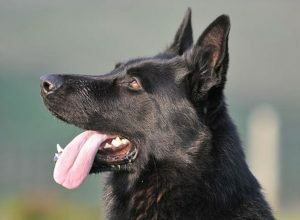 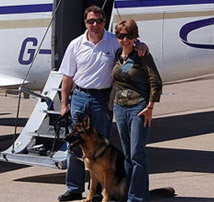 Executive Level A1K9 personal protection dog Ero. 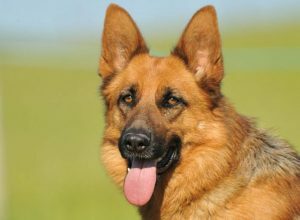 Now this is what one of our staff calls a proper dog, Ero is an extremely strongly built, stocky German Shepherd male from the Czech Republic. 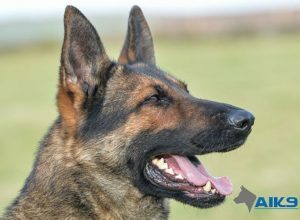 He is bred from a long line of working dogs known for their ability to protect and defend, and whilst here at A1K9 he has proven himself to be an extremely effective dog, serious when required yet very friendly and affable in ordinary everyday situations. 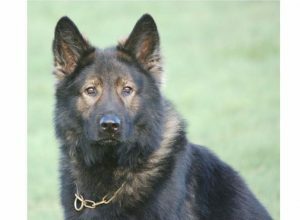 Dark sable, and almost wolf-like in appearance, Ero has been trained as an Executive Level A1K9 personal protection dog and will without doubt be able to provide his new owners with the very highest level of canine protection, whilst being a great pet and a superb ambassador for the breed.